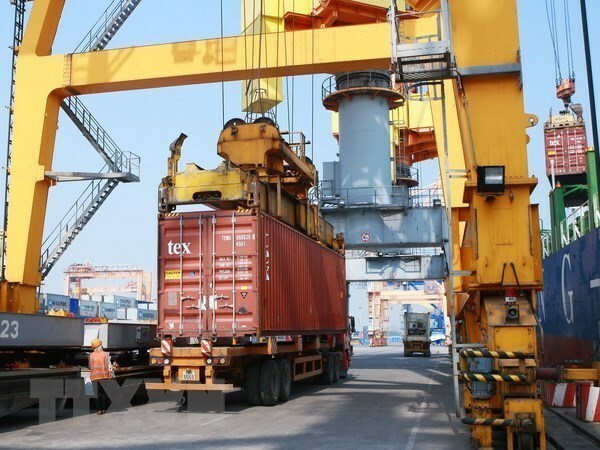 HCM City (VNA) – The 2019 International Port Infrastructure and Logistics Exhibition and Conference (Vipilec 2019), the first of its kind in Vietnam, is set to take place in Ho Chi Minh City from June 12 to 14. The event, expected to attract 100 exhibitors from 15 countries and territories, will be held by event organiser UBM Vietnam, in cooperation with the Vietnam Logistics Business Association (VLA) and the Vietnam E-commerce Association. It is designed to help firms seek business opportunities and introduce their products, advanced technologies and services. Furthermore, Vipilec 2019 will serve as a professional and reliable platform for technology and service providers to meet and discuss the current situation and development trends of logistics and supply chain management. General Manager of UBM Vietnam BT Tee said the exhibition and conference will establish connections between partners across the world in the fields of port infrastructure and logistics. In 2018, Vietnam stood at the 39th position in the global logistics performance index rankings, and ranked third in ASEAN, following Singapore and Thailand. The sector eyes an annual growth of 15-20 percent by 2025 while contributing 10 percent to the country’s gross domestic product.